Much of that has been credited to his business moves. 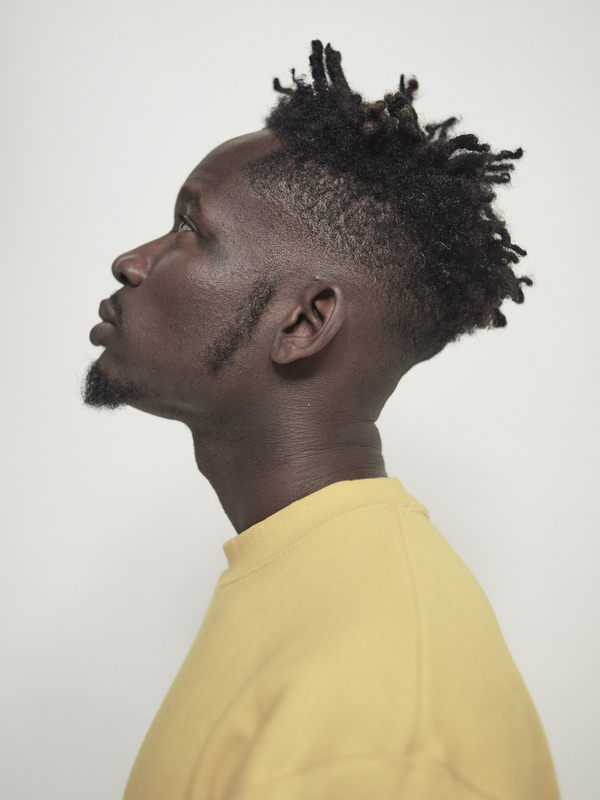 Eazi's success appears to be the product of a series of strategic decisions which have kept him winning at a pace that is a step ahead of most of his peers. These days, he is championing emPawa, an hybrid charity and investment program which plans to equip Africa's most promising artists with the tools, knowledge, network and investment so they subsequently become independent music entrepreneurs. In short, he's received help before, and he's ran with it to success. Now he's looking to assist other artists replicate his feat. It's his unique idea of inspiring growth and continuity in the music business. In this interview, we talk about why he's set up emPawa as he shares some of his music business knowledge about how he's been able to enter and compete in foreign markets. The thing for me is, first off, my first video that made me have that buzz in the UK was a song called "Pipi Dance." The viral video we shot was gifted to me by six friends of mine, we paid £300. I knew nothing about it until it was done, they just handed it over to me. The "Skin Tight" video cost me like 1000 [Ghanaian] cedis, and that's because the video director thought that the record was dope at a time when I didn't want to be an artist as a career, so he wanted to push me. The place we shot the video, they gave us rooms for free, they fed us for free. They let us shoot there, so I was just like okay, I'm gonna give back. So I've been low-key funding videos for artists like in the spirit of that, both in Nigeria and Ghana. One of the guys I shot a video for, he got nominated at the BET Awards this year. He is an artist called Kwesi Arthur, I had even forgotten I paid for the video until he put it up on Twitter. I just said 'you know what, I think maybe it's time to frame this thing.' I've always wanted to do something similar that is basically incubator-style for music, like I did when I was in Phone Trader. I've always had the idea of trying that for music so I decided to just put it together to mix the charity with the incubator-style. The top 10 artists from the 100 I'm shooting for, I'm gonna take them to South Africa for a camp where they would learn and make music. If you go online, you'll see a video of where I am teaching lessons to investors. Instead of them doing that pitch, what they would do is to create something within that period and then maybe I would further invest in one or two of them. This is not invest to in them as per sign them, but like an investor investing in a business, but not more than 20 percent equity. So it's like my charity meets my incubator for music. It's the best of both worlds. You know there's this thing going on, like artists are putting up 30 seconds or 1-minute videos on Instagram, if you check the #emPawa100 hashtag, there's been at least 8,000 entries in the past two weeks across Africa. Oh Sorry, it is 10,400. Yeah, the good thing is that [these artists are] truly from across Africa, Like there's Ghana, Nigeria, Zimbabwe, Tanzania, Zambia, Kenya, South Africa, Uganda, Mozambique, Rwanda, Cameroon, Sierra Leone, Mali, Togo, South Sudan, DR Congo. We've gotten entries from a lot of places. There are a lot of things you should know. First off, like who is supposed to do it? The telecommunication networks. They do all these reality shows, right? They spend a lot of money on the reality show. They do a lot of publicity but at the end of the day maybe the winner is just that guy who comes first. I just wanted something that can cut across, because if you do a reality show, you're using $3 million to produce it and do everything. But if you spread that across more people, you've impacted more people. At the end of the day who's gonna do it? Unless you have intervention funds by government to do it, that's another way. You also have to look at it: who are the people in the music scene? They are the ones that have something to gain. Or maybe the government, the ministry of arts and culture or culture and tourism, and there's the music association. Every country has their music association and the government gives them money. But I don't really know what they are doing with the money. I think there was a time when there was Federal Government intervention for Nollywood. I don't know how that went. But who's gonna do it? Even worldwide, who's doing it? So far, I've a lot received support from artists and producers. For instance, yesterday, DJ Maphorisa called me, and he's like "Eazi, why are you not including South African artists?" And I'm like okay, you know what? Handle the entries and pick the candidates. I'll come to the camp to work with the artists. Maphorisa has come through. Alikiba from Tanzania has come through with support from his team. Navio, Kill Beatz, E-Kelly, Adekunle Gold, Ajebutter and a couple of others too. My friends have come through to support, even if it's by just posting the video for people to submit. Some of them said they would be able to come around for the major shooting. Also, we've been in talks with Spotify, YouTube, and Apple Music. Nobody has committed funds yet, but in terms of resources, they can send one of their key staff to come for the masterclasses and teach these artists, perhaps how to utilize YouTube well, or a crash course on YouTube and other platforms as well, with a view to monetizing their content. Some radio stations like Urban FM have been playing songs from the two people in Nigeria that I have shot their videos for—Lady Donli and JoeBoy. MTV and Sound City have also supported with airplay, even TVC. I was speaking with Radio Africa who own like 7 radio stations across Africa. We are in talks about sealing a deal where they would give all the artist from East Africa some massive radio play. It might be an emPawa hour where they play for one hour. Trace too has been supportive, Trace has posted the ad. In terms of financials, this has been between Banku Music (my label, which I own) and we just signed a new deal, so I'm a brand ambassador for a company called betPawa. There's meant to be a jackpot called Eazi Jackpot. Instead of collecting cash I said I want a stake in this jackpot because it's behind my brand and I'm gonna push it. I'm not gonna charge you for the ads for Eazi jackpot, instead I changed it from Eazi Jackpot to emPawa Jackpot. So with emPawa Jackpot, I've been able to convince them. 10 percent of the profit from emPawa Jackpot is going to go into my emPawa foundation. The money might not materialize this year because we're just rolling out the jackpot. But it ensures that for the next 2 or 3 years, this program would continue because the betting industry is going well and the beauty is it's low stake, you play with N10 and you can win N20 million. In Kenya it's the same thing. At least if people are betting on the site of betPawa, I have to give them big-ups for that. They could have easily just given a this to a footballer. You know the other betting companies just give maybe footballers, or give artists so much money. I'm not saying there's anything wrong, but at least this one cut across to artists that really need the money. You know for me, I've never been one to do one thing. For instance, when I was in school I was doing events, but I was also studying mechanical engineering which was one of the most difficult and demanding courses in my school. During my masters, I was involved in gold mining, importation of soft drinks, and also sold Shawarma. I had like three concurren businesses running. I later started to import sausage rolls into Ghana. I was importing a popular soft drink into Ghana and handling distribution. I had all of these businesses, while still doing my masters. I still completed my masters in proper time, so for me, there's no activity that can make me go crazy. I'm also not alone, there's an external team. It's only when it's time to closing deals that you will see me. Already, I can say we have recorded some success in validating our business case. We've been able to validate that actually, there are up to 10,000 artists in Africa who want to do music but don't have funds to shoot a video. So that alone is success. Number 2, the roll out; we've been able to have entries from at least 7 African countries. That alone is another level of success. Moving forward, we've been able to pick like 21 artists so far and by the time we have 100 artists, that will be another level of success. By the time we shoot these music videos for these artists, that would be another level of success and I expect that ultimately, even those 10 that get to South Africa, the value they would get in terms of mentorship, access to my network of people, artists or producers or DSPs would be a success. There's going to be mentorship. People coming to speak about the music business, media and marketing, so that they can go on to be actual music entrepreneurs. Ultimately, if one or two can have a global career that would be good. For example, the first guy we picked from Ghana, the song for that weekend was trending at number two and his name was trending at number 5. So I expect that if we shoot his video for him which we've already paid for and 4SYTE TV in Ghana has already been heavy on support. So, I'm sure that by Detty Rave he'll be performing. That alone is a success story to me. If every year I can have a minimum of 100 people that I somehow funded or helped. No matter how big or small they get, I'm good. Everyone says you are a top businessman in the music industry? What's your secret? To be honest, for me when I get into some kind of business deal with artists, record labels, distributors, I'm always trying to learn so I get fascinated. Sometimes, the backend fascinates me even more than the front end. Two things excite me about the job I do: number 1, the studio. That's because in the studio I don't care about anything. My favourite part of all this is when I'm in the studio, and when I am sitting and crafting up these business deals and marketing. We always try to have our goals like one year before. Right from after I dropped Accra to Lagos, I told my team. "We need to go and build our profile in the UK and Europe and we need to go and learn how these structures work because the UK is a smaller structure. It's easier to go and learn how put out a record, how to get your record on radio." Some of these things we learned, we tried it there, some worked, some didn't work, nobody has the formula. But we basically learn, and then we start saying "how can we apply this locally?" 2019 should see me apply some of the stuff I've learnt. East Africa is arguably the most receptive spot for music. In East Africa, they listen to hip-hop, they listen to their local music, they also listen to music from the West of Africa, they listen to pop. So in recent times, asides from when I do festivals or branded shows in the UK or wherever—nobody is going to pay you $100,000 in Nigeria to do a show, or even $60k to come and jump on stage for a set. But you can easily get that money by walking into Kenya or walking into Gambia. So those places should be the ones I focus on. Also, when we dropped "Keys to the City," which was not a single and we saw the views on YouTube, the bulk was from East Africa. It is the only place that I can perform without a curated set. If I perform in Nigeria or UK it's a curated set. But if I perform in East Africa, I can perform every song from Major Lazer to Lotto Boyz to Lady Leshurr, and all the songs on Accra to Lagos. All, I can perform all the songs before that project. I was performing in Southern Africa, Zimbabwe, the other day and I was on stage for 2 hours. I can't perform for two hours in Nigeria. And even after two hours some people were like "You did not perform this, you did not perform that." So we just do data mining, which is basically. looking at a mixture of what the data is saying. You know sometimes numbers lie, like when you go to a place where numbers did not indicate [anything]. When I went to Haiti or Martinique, there was no indication of these places on my data. But most of the time, the numbers don't lie to you. We just respond. For instance when I dropped Accra to Lagos, I noticed that my highest streaming was coming from the US. Once I dropped it, it was a no-brainer. I just went straight to the US and we ended up touring for like 3 months and that pushed the project. It's just a lot of following the numbers and just reacting and showing up. Yeah, you know, it's funny because like I was in South Africa the other day and the YouTube team found out I was there. I had just come from the airport, and I thought I was just going there for maybe breakfast. But they ended up putting me on the spot to speak a little and some of the people were heavy speakers from conferences in Kenya and other places. For now, it's not something I'm looking to do because it will demand a lot of moving parts. So for now, I've been doing experiments. I licensed two songs to Mad Decent (Diplo's record label) in the US. I licensed "Leg Over" remix and "Pour Me Water" for North America just to see how music is released there. I licensed two songs to Columbia UK, just for the UK only. "London Town" and my next single, my post Lagos to London single, is going to Columbia. The song is ready, we are supposed to shoot the video, so I licensed that one to them just to see how it's done. I've done the same deal around the world for "Dance For Me." That was where I learned the most. I also did Universal in Africa which you know about. But for now, it's just for South Africa. All these licensing deals I'm trying left and right, is for me to try and figure out "what is that way to distribute music globally?" Sometime last year I got offered a shitload of money as an imprint in one of the biggest labels in the world. What that did for me was, it made me realise, I wasn't ready. I didn't know enough, so I was going to take all this money and just sign a bunch of African artist and just give them slave deals. No. We are still learning, and I feel like for me to be able to start speaking, I still have a lot to learn. I would love to, but for now, I am a learner. There needs to be more successes before I can speak. For instance, if I come to speak on how to get your music on radio, I'm not gonna feel like a scam. I know off the back of my hand, how to get the music to the radio or how to work music across Africa. I'm still learning but at least I can spare some minutes. Definitely, I feel like when we have a little more information, it would be a pleasure to have speaking engagements. 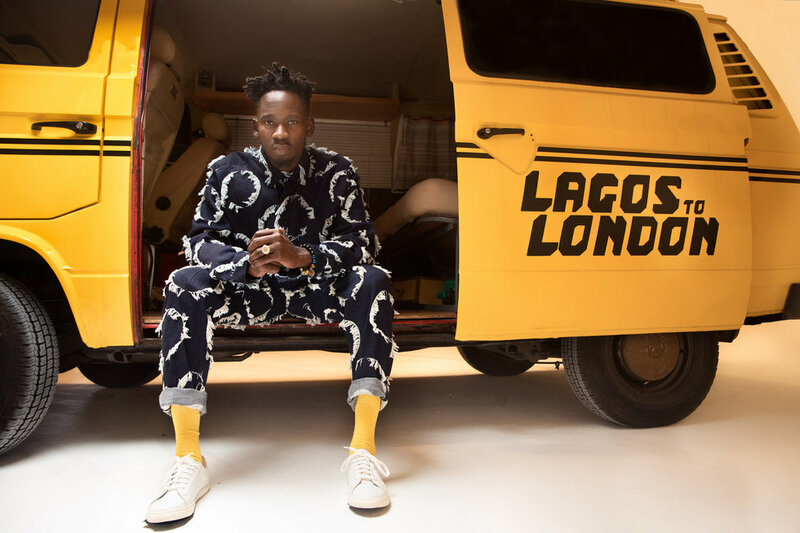 Find out more about Mr Eazi's emPawa initiative here.